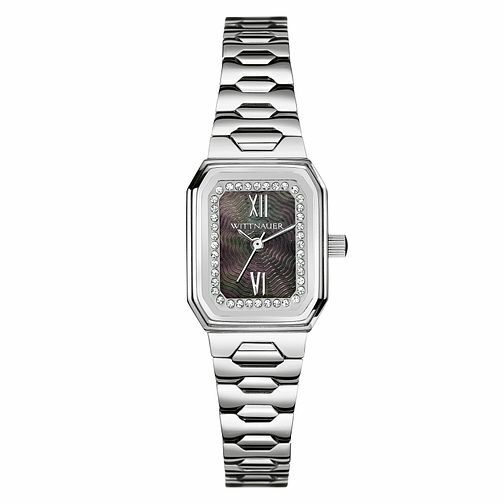 The Madelyn collection from Wittnauer features watches with an elegant rectangular face shape and a studded crystal bezel. These watches are more contemporary but echo classic features throughout such as the Roman numeral indicators. The style is clean yet glamorous and their 50m water resistance makes the watch practical for everyday wear.